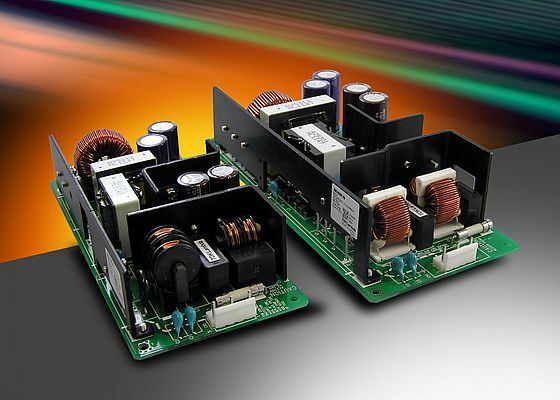 TDK announces the new TDK-Lambda ZWS-BP series of single output, PCB-type AC-DC power supplies. Based on the popular ZWS series, the ZWS-BP is 30% smaller than its predecessor, thus simplifying equipment design and is offered in two mid-power output models: ZWS150BP (150W) and ZWS240BP (240W). With a 200% peak power capability, the device is good for use in electromechanical equipment, such as motors, disk drives, pumps, fans and actuators, which require a high initial start-up current. It is equally well-suited for use in a wide range of light industrial equipment and front-end equipment for broadcast and communications applications, and for applications in indoor and outdoor LED lighting and signage and test & measurement. Operating from a universal input of 85 to 265Vac or 120 to 370Vdc, the power supply is a compact product that offers an efficiency of up to 91%. All models are convection cooled with an operating temperature of -10°C to +50°C at 100% load, allowing 75% load operation at +60°C. Rated with nominal outputs of 24V, 36V and 48V, with each model being user adjusted by up to ±10%, the product can accommodate a wide range of non-standard system voltages. Standard features include power factor correction (PFC) and over current and over voltage protection; options include a remote on/off feature, conformal coating of the PCB, L-plate or L-plate plus cover and an additional terminal block (240W models only). The device meets the conducted and radiated EMC requirements of EN55011/EN55022-B, FCC-B and VCCI-B, as well as IEC61000-4-2, -3, -4, -5, -6, -8, -11 immunity and safety approvals to UL/CSA/EN60950-1 and EN50178.